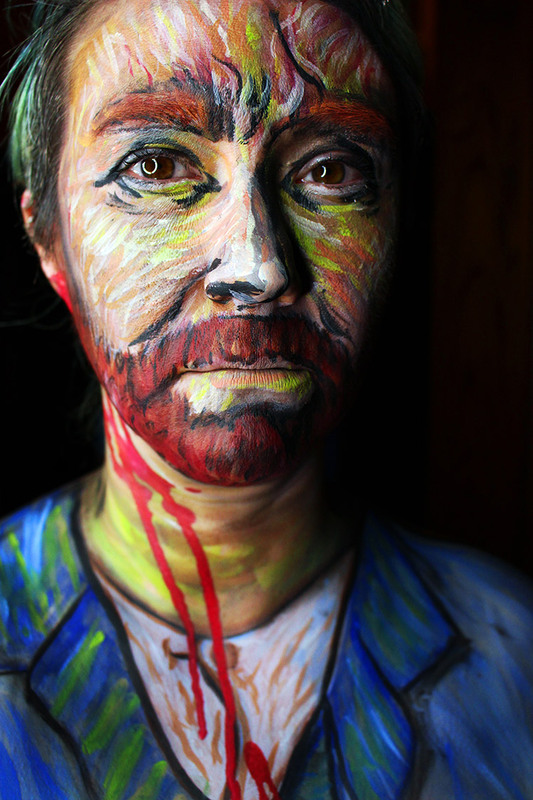 This look was inspired by Van Gogh's self portrait and "artist's fit" of cutting off his own ear. I am a 37 year old wife and mother of 3 children. I am a passionate cosmetologist that owns The Tish salon and spa in my hometown of Muskegon, MI. My wife, Kimi George, our family and friends have all been an amazing and supportive force in my life.